The MoNH is an icon. 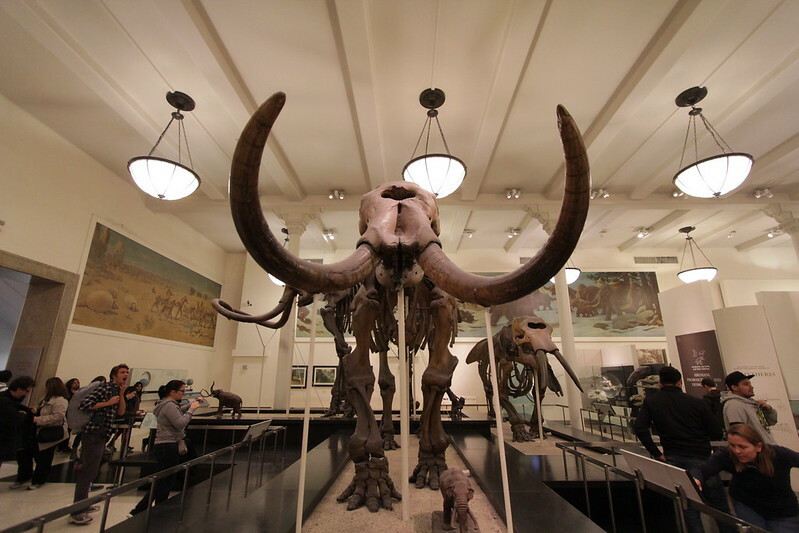 Alongside the Empire State Building, Central Park and Times Square, it’s something you know about long before coming to New York. We spent a day there and it was a good amount of time. There were four ‘extras’ you could pay for so we bought the deluxe ticket for $38 each. A tip if you’re going with a group – go to the same cashier together when you arrive as they allot you a time for each special exhibit and we had to go back to get Sean’s session times aligned with ours. The staff were very happy to help though and it only took a couple of minutes. 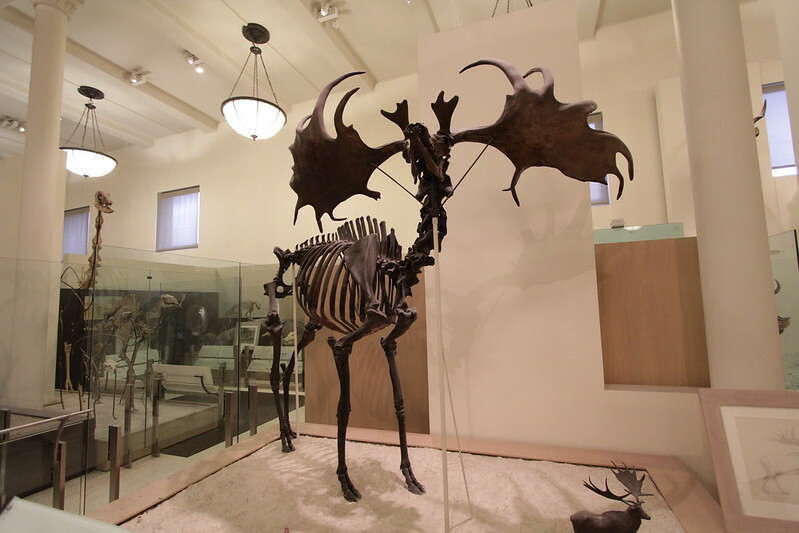 There’s a big gap in the ‘wow’ factor between the new exhibits and the old. A lot of the old stuff is basically huge dioramas that look quite faded, but still have a certain charm for all that. The first hall we walked through was African animals, with taxidermied versions of many animals we’d seen roaming the Serengeti earlier in the year. Sean had just been to the zoo too so he’d seen the animals live as well. How unflattering. And it wasn’t even that dumpy. 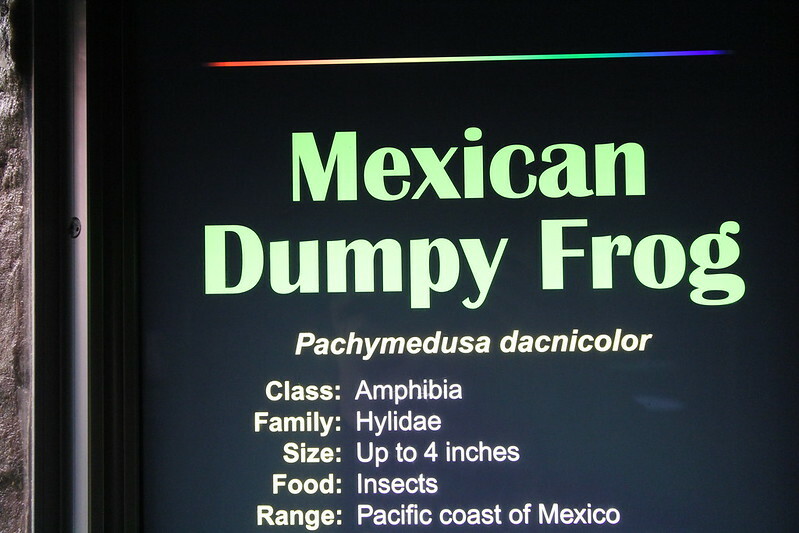 Or at least, no more dumpy than any other frog. Zombie frog is coming to EAT YOUR BRAINS! 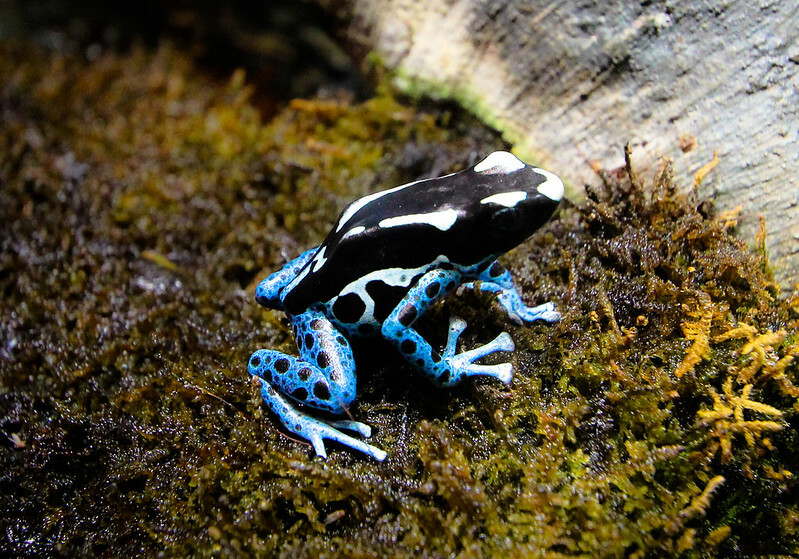 But most because there were poison dart frogs!!! This is very worthy of multiple exclamation marks because poison dart frogs are possibly the most brightly coloured animals in the world, outside the bird and insect kingdoms. How could something so deadly be so adorable? So many! The yellow ones are the most deadly, poisonous even to touch – although in captivity they do not eat the same food and do not develop toxins. I could’ve spent all day looking at the frogs but it was time to move on. Next we went to the planetarium, where we watched a movie about the expansion of the universe and dark matter. I learned about red and blue light but I still don’t get how, no matter where you are in the universe, everything appears to be moving away from you. The movie was voiced by Neil Degrasse-Tyson. After the planetarium was the live butterfly room. They had some species I hadn’t seen before but it was much smaller than Cairns or Melbourne Zoo, unsurprisingly, as it is not a permanent exhibition. No photos of butterflies because I seem to be unable to take decent photos of the stupid things. Last of the special exhibitions was whales. It was a large hall with movies playing, skeletons and a lot of Maori history and things from NZ. They showed whales being dissected and a lot of awful stuff about how rubbish in the ocean is killing them. It was pretty depressing but necessary for people to know. 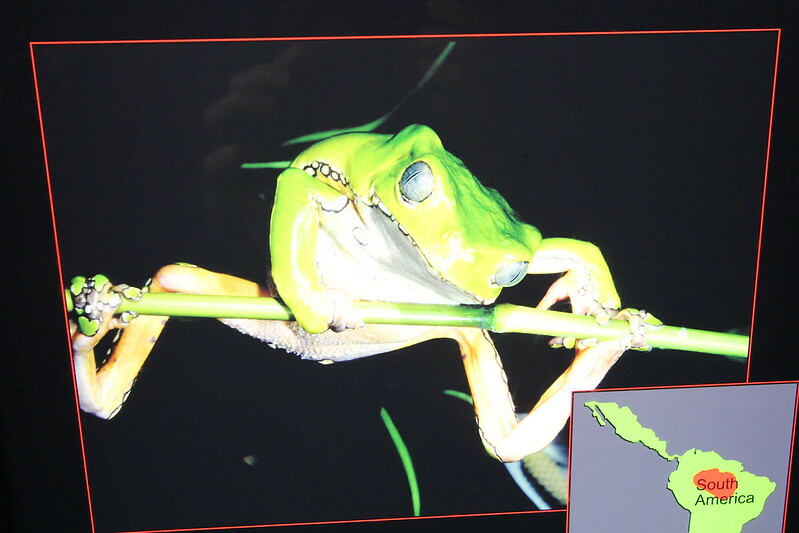 Not as depressing as the news, in the frog exhibit, that there is currently a ‘death wave’ of fungal infection that is killing 96% of frogs as it passes through South America and is expected to continue across the world. 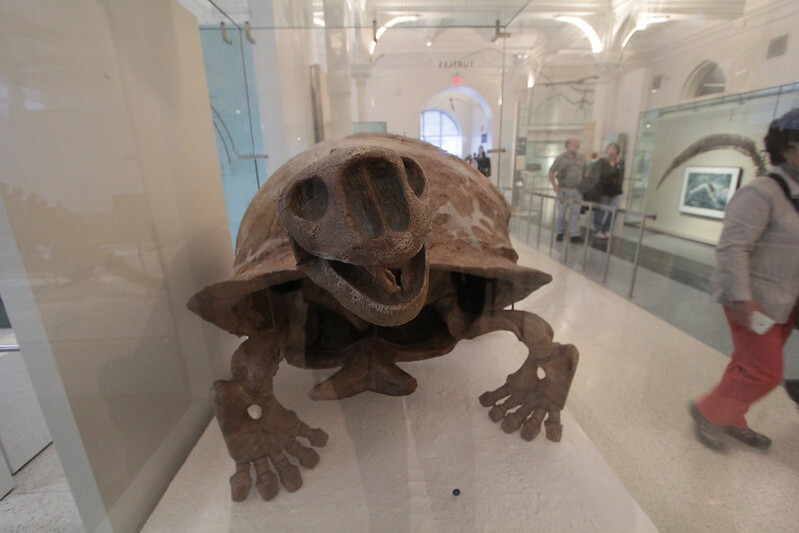 Apart from the temporary exhibits I quite enjoyed seeing a few dinosaur skeletons and a giant turtle shell and bones. I had no idea they grew so big! You can’t evolve to the point of having things like this on your head and then be surprised when your species dies out. I wonder how many got caught on trees and just couldn’t disentangle? And you can forget getting through doorways. If I lived in NYC I’d think about becoming a member here. So much interesting stuff, and the crowds weren’t prohibitive either. I learned quite a lot and definitely left without seeing everything. I haven’t even posted pictures of the minerals section, which was also excellent. So if you’re in the city be sure to check it out! 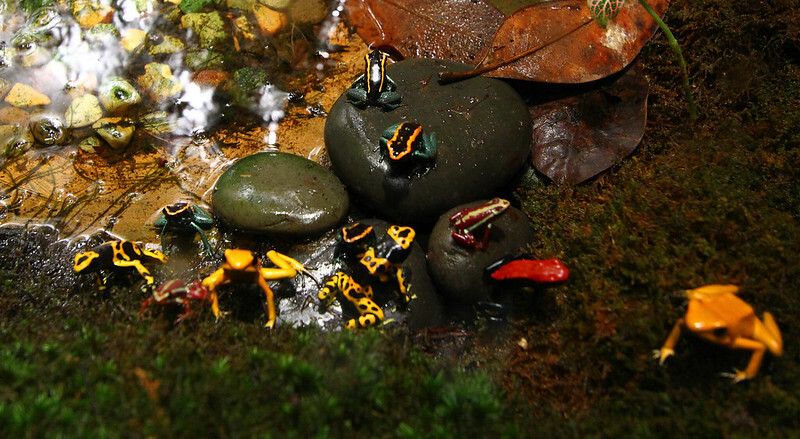 Ooh, poison dart frogs! I too am a fan. I should be getting into the Amazon at some point while I’m here, so maybe I’ll see some in the wild? For sure! Yeah, I’ve never been to Scienceworks either… yet the zoo a gazillion times. Always the way!